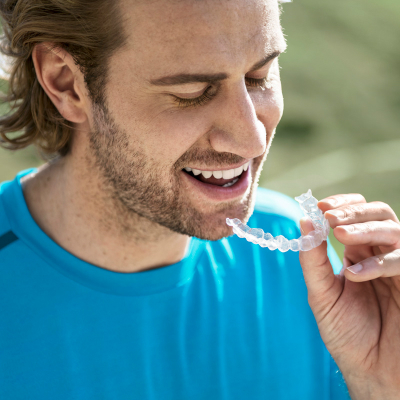 Advanced technology is used to create a series of clear aligners custom designed for your teeth. During treatment, each aligner is worn for around 1 – 2 weeks, until the final result is obtained. Faster appointments: Invisalign visits are much quicker as there are no wires to be tightened. Invisalign will give you a great smile. Ready to improve your smile with Invisalign?